I have met so many amazing and beautiful girls over my last six months of blogging and nothing makes me happier than looking into my inbox and seeing I have a new comment from someone! 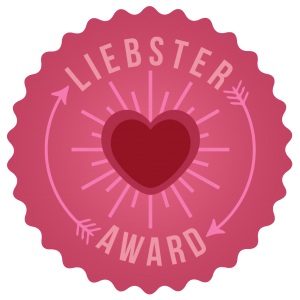 I was especially excited to see that Krista from Kristie's Blue Jeans and Rachael from Rachael's Mode nominated me for the Liebster Award! I love seeing this award go around the group of bloggers I read. Its such a great way to pass along the love! The Rules1. You must link back to the person that nominated you. 1. Favorite season of the year... Summer by far! I love being able to go to the pool or hang out at an outside bar, even if I'm sweating! 2. Favorite cocktail... Whipped vodka mixed with orange juice, it's basically an orange dreamsicle... with booze. 3. Favorite TV show... Revenge, no, The Originals, no, Vampire Diaries! I am too much of a TV addict to decide but those are my top three! 4. How do you feel about the hipster trend of beards... Haha, I love this question. They look cool I won't lie, but I could never date a dude with a full on beard. 6. If you could do one job for the rest of your life , what would it be ( sorry no stay home mom's, as much of a job as that is)... Any job in the entire world you ask? I would love to do diy projects all the time and somehow get paid to do them. 7. What is one of your biggest regrets... no regrets, the mistakes I made were made for a reason. I always try to learn from them since you can't change the past. 8. What is the biggest thing you hope to accomplish in 2014... I am still going strong on my resolution to become the best Taylor I can. I haven't been going to the gym everyday but on the days I miss it I feel like I make strides with my inner Taylor. I feel more confident everyday! 9. One beauty trend you wished you never tried... I honestly don't know! 10. Greatest childhood memory... My dad used to bundle up a blanket around my sister and I and he would swing us around in the living room. It was the best thing ever! 11. One random fact about you... I've lived in three cities in two years! 1 What made you want to start blogging... Another reason I started to blog was because I wanted to change how girls feel about themselves. I've struggled with self esteem issues for a long time and doing DIY projects gave me a sense of accomplishment, if I can help other woman feel the same thats good enough for me! 2 Who is your style icon... This is going to be weird but my boyfriend's little sister. Damn, that girl dresses so cool! 3 What's on your wishlist for this month... A date night! 4 One make-up Item you could not live without... Concealer! 5 what's your favourite online clothes shop... Express, I worked there for years and still like to buy my clothes there even though I'm out of the retail business. 6 If you could only wear clothes from one high street shop for the rest of your life what would it be... Ralph Lauren!!! 9 heels or flats... I like heels more than flats, but end up wearing flats more than heels. 10 favorite magazine... Southern Lady! 11 where do you see yourself a year from now... I can't even imagine how much my life will have changed by then! 2. What is the last song played on your iTunes? 4. Would you rather be on stage or behind the scenes? 5. Who is your favorite actress right now? 6. What movie can you watch again and again and never get sick of? 7. What DIY or recipe did you finish that you are most proud of? 8. Are you a city chick or a country gal at heart? 9. How much time do you HONESTLY spend getting ready? 10. What is the model of your cellphone? 11. What is your guilty pleasure Disney movie?